​This 21 night journey combines New Zealand and Australia’s most spectacular sights including Rotorua, Te Anau, with exciting, cosmopolitan cities to create the perfect downunder experience. 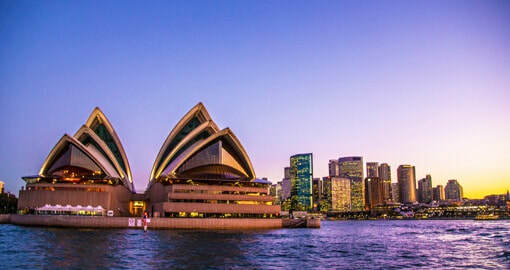 ​Sydney - set on the beautiful blue Sydney Harbour, this fast paced city of cosmopolitan character is one of the world's most beautiful places. Colonial history, stunning architecture, superb waterways, gracious harbourside suburbs and friendly people epitomise the vibrancy of this spectacular city. Some highlights include a guided historic 'Sydney Rock', Australia's most famous building - the Sydney Opera House. You may also visit Darling Harbour, Bondi Beach, affluent waterside suburbs, trendy hotspots and much more. When in Sydney do what the locals do and travel on the harbour highway. The Hop On Hop Off Harbour Explorer pass is the easy way for visitors to explore Sydney over 2 days visiting up to eleven famous harbour precincts including Darling Harbour, Circular Quay (The Rocks & Opera House), Taronga Zoo, Watsons Bay, Luna Park, Manly, Fort Denison, Shark Island, Barangaroo, International Convention Centre Darling Harbour and Garden Island with full commentary. The round trip cruise is 60 - 90 minutes in duration with 30 - 45 minutes between vessels and you can stop off at any attraction and re-board the next Explorer with your two day ticket. Included in this pass is entry to Taronga Zoo and the Sky Safari Cable Car. 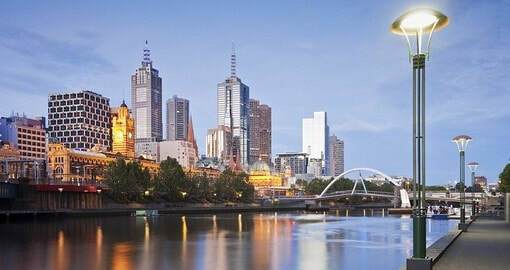 Melbourne, Australia’s second largest city, is stylish and cosmopolitan. 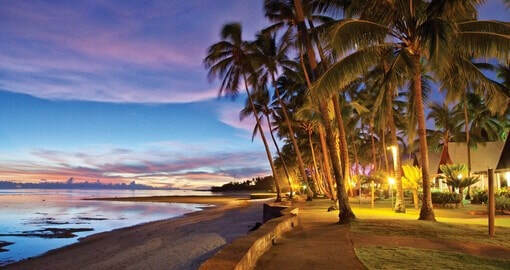 It has been voted by The Economist as the “World’s most Livable City”. Part of this is the abundance of parks and gardens. The capital of Victoria, it is situated on an estuary of the Yarra River and boasts world-class culture, sports and dining on an Australia vacation. A fantastic combination of two tours; one introducing you to the fabulous city of Melbourne and the other, a popular Penguins tour to Phillip Island. It's a long day of touring but well worth the experience! City tour highlights include a photo stop at St Patrick's Cathedral, a visit to Fitzroy Gardens, a delightful guided walking tour through our favourite laneways and arcades and a visit to the Queen Victoria Markets (or the Royal Botanic Gardens on Monday and Wednesday). You will have free time for lunch (own expense) before joining the second part of your tour to witness the nightly ritual of the Penguin Parade at Phillip Island. On the way, visit Churchill Island and Koala Conservation Centre where you can look for koalas in their natural habitat from tree top boardwalks. Auckland, a city where one out of every six residents owns a boat, is nicknamed the City of Sails. 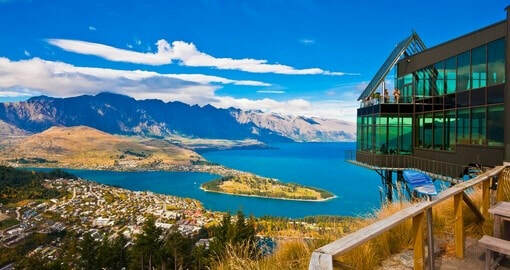 Sprawling across two large harbours, it is the largest city in New Zealand. 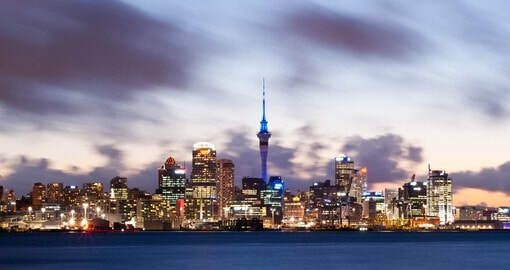 As the main gateway to New Zealand, Auckland has a multi cultural population of more than a million people and is surrounded by expansive parklands and water. Cultured and cosmopolitan, progressive and historic, Polynesian and European, accessible to beaches and forests, adventure sports and leisure activities, Auckland offers something for everyone. olive tasting, followed by a stop at Wild on Waiheke, which offers optional beer tasting as well as wine. You'll also get to sample locally produced food; olive oils and preserves. The tour concludes with tastings at the beautiful Mudbrick Vineyard whilst enjoying stunning views over the Hauraki Gulf. You can then choose to use your complimentary All Day Bus Pass to further explore the island, or else take the ferry directly back to Auckland. strong agricultural base. The city is known for its geothermal activity, and features geysers - notably the Pohutu Geyser at Whakarewarewa - and hot mud pools. Rotorua is the jumping off point for adventure and for genuine travel experiences. Grotto. As you enter this galaxy of tiny living lights, you'll immediately experience a serene ambiance and be fascinated and intrigued by tiny glowworms that light your way. 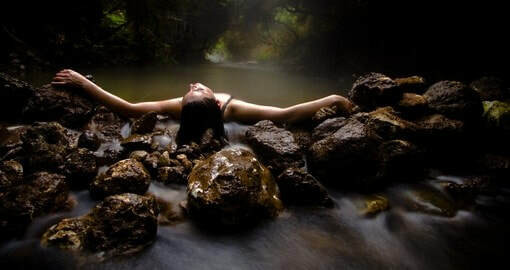 Embrace nature's sanctuary and slip into five mineral hot pools overlooking Lake Rotorua. Try the cold plunge pool, lounge on geothermal recliners and enjoy deluxe changing rooms. 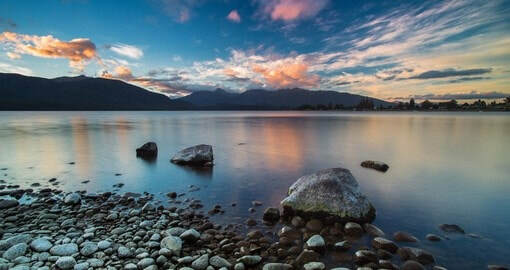 Te Anau is the gateway to the world famous Fiordland National Park, a World Heritage Area covering nearly 1.2 million hectares. Fiordland represents nature on a grand scale, where waterfalls tumble hundreds of meters into pristine, forested valleys, and glacier carved fiords indent its coastal boundaries. Soak up the stunning surrounds and discover Doubtful Sound - dolphins often ride the bow waves, fur seals bask on the rocks. Opportunities exist to kayak, go exploring with our nature guide or simply relax on deck. An afternoon amongst the boutique vineyards and splendid alpine scenery of Central Otago. Taste wines at 4 premium vineyards over 2 contrasting wine regions, learn about the wine and pioneering history and visit the Historic Precinct of Old Cromwell. Includes a delightful platter lunch and a glass of wine with lunch.